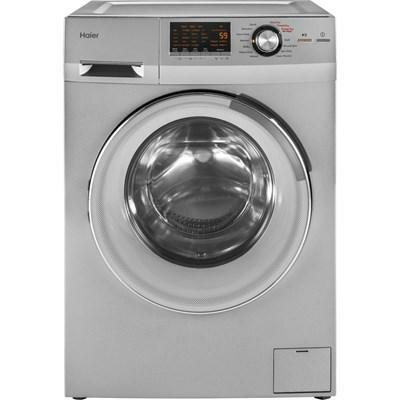 This Frigidaire laundry center features 10 wash cycles, 6 dry cycles, MaxFill™ and Ready-Select® controls. 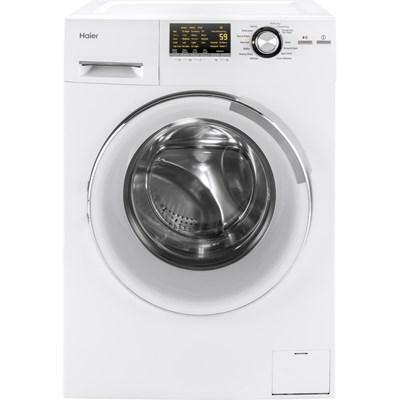 Capacity: 5.5 cu. ft. / 0.16 cu. m.
Capacity DOE: 2.2 cu. ft. / 0.06 cu. m.
Capacity: 4.4 cu. ft. / 0.12 cu. m.
Capacity DOE: 2.3 cu. ft. / 0.07 cu. 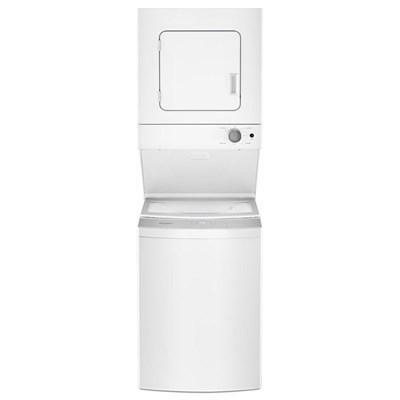 m.
GE unitized Spacemaker washer and electric dryer. 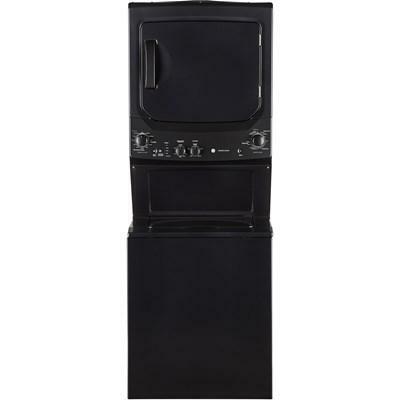 It features 4 heat selections, Quiet-By-Design, stainless steel basket and rotary electromechanical controls. 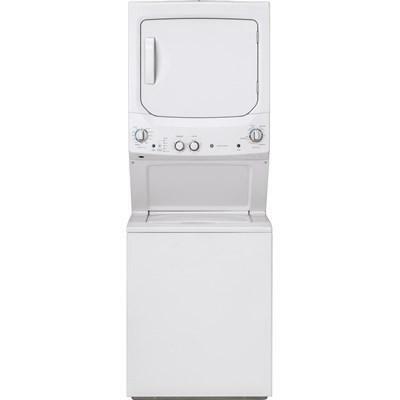 Capacity DOE: 3.8 cu. ft. / 0.11 cu. m.
Capacity DOE: 2.0 cu. ft. / 0.06 cu. 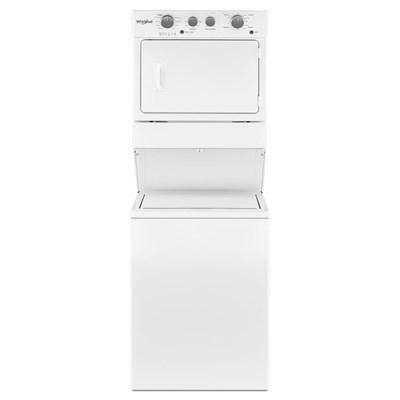 m.
Speed Queen staked washer and dryer. 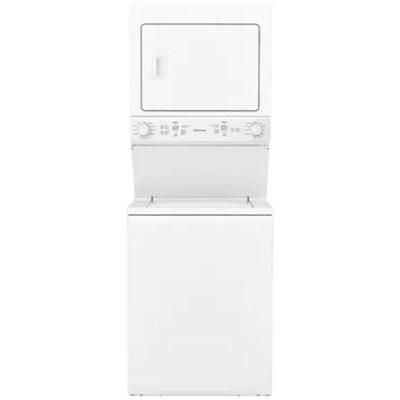 This model features 9 preset wash programs, 7 dry programs, 4 temperature selections and 4 soil level selections. Capacity DOE: 3.4 cu. ft. / 0.10 cu. 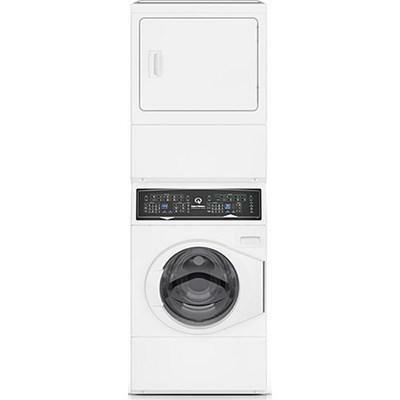 m.
This Whirlpool electric stacked laundry center features 6 wash programs, AutoDry™ dying system, EasyView™ glass lid and 4 dry programs. Capacity: 3.4 cu. ft. / 0.10 cu. m.